It was over a meal with a foreign friend that Yeol Chairwoman Kim Young-M’Young’s interest in conserving Korean culture was sparked. Today, what originated from three friends brainstorming has grown into a non-profit organization with the mission of conserving, developing and promoting Korean cultural heritage with some 620 members. 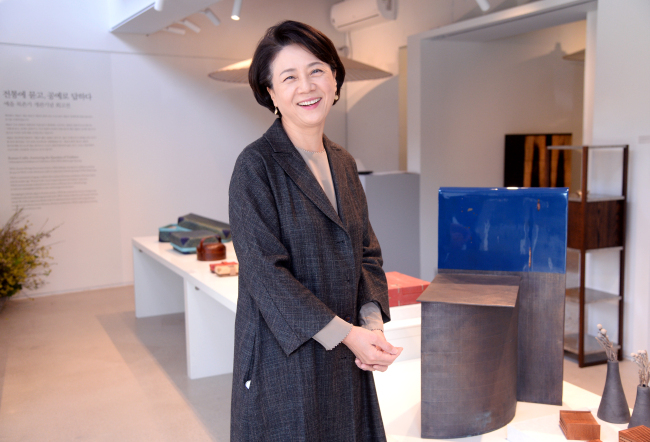 “We wanted to start small, but wanted to do it well,” said Kim during a recent interview at the new Yeol headquarters in Bukchon where a retrospective highlighting the organization’s commitment to supporting traditional handicrafts over the past 16 years is on show until April 12. “It was 2002, the year of World Cup,” Kim recalled. “It started with an interest in what foreigners thought of Korea.” The group’s focus on foreigners was natural, Kim explained, as the three friends who started it all had studied in the US. With a view to start small, the group’s first major initiative was designing information signs for cultural artifacts. “We started in Jogyesa where Temple Stay began in 2002,” Kim said. The headquarters of the Jogye Order of Buddhism, Jogyesa is located in downtown Seoul, making it an ideal spot to launch the project because of its easy accessibility and popularity among foreign visitors. It was a small project, but one that would be highly visible and have a big impact. “There were great difficulties in getting this done, although it was a small thing,” she said, citing the complications of working with several different organizations when cultural properties are involved. In 2006, the group took the next step as a formal organization, registering as a foundation under the Cultural Heritage Administration. The gathering of friends had grown to something much larger with the potential to make greater impact than they had probably imagined. Yeol’s first forum, held in 2003, was on Sajikdan, a Joseon-period neo-Confucian altar west of Gyeongbok Palace where soil and grain ceremonies were held. Although Sajikdan was once a sacred site of great importance, today it is a largely overlooked historical site with a children’s library located within the compound. “At the lecture, we were surprised by our ignorance, having grown up abroad,” she said. “Today, it is known as a gathering spot for hiking groups and various sports events,” Kim noted. In 2013, Yeol organized the second forum on Sajikdan, gathering experts to discuss ways to conserve and restore the neglected part of Korean history and culture. In 2015, the Cultural Heritage Administration announced a 20-year project to restore Sajikdan. "We collected 48,000 signatures calling for the restoration of Sajikdan," Kim said. The group also campaigned for an episode on Sajikdan as part of KBS’ series of 1-minute programs introducing Korean cultural heritage. Complicating Sajikdan restoration effort is the presence of several contemporary buildings with historical importance in the compound and in the surrounding areas. For example, the children’s library located in the compound was built in 1979 and is the country’s first children’s library. “I don’t think they are opposed,” Kim said commenting on the neighborhood residents’ reaction to the restoration project which seeks to expand the area of conservation. Expanding the conservation area is aimed at preserving the sanctity of Sajikdan. Some of the issues concerning the buildings already inside the compound can be resolved through landscaping, as suggested at the 2013 forum, Kim explained. “At the forum, three options were presented,” she said. Getting the government to take action on Sajikdan is no small feat for the group, but Kim is modest about its achievement. “It was really the innocent, naive power of a group of ajumma. We had passion but no expertise,” she said. Kim said Yeol will continue to keep its projects small. “Doing the small things that we can do,” she said about the organization’s direction. One of those projects is the program -- running for 16 years now -- that connects cultural property title holders with young artisans and supports them to create handicraft products. Once again, this project was born out of the need that the group of ajumma saw for traditional handicrafts that could be presented to foreigners as gifts, to promote Korea. To keep the organization active and to ensure that it continues over years to come, Yeol is betting on its group of young supporters. “It is our hope that our passion will be passed on to the next generation,” Kim said. 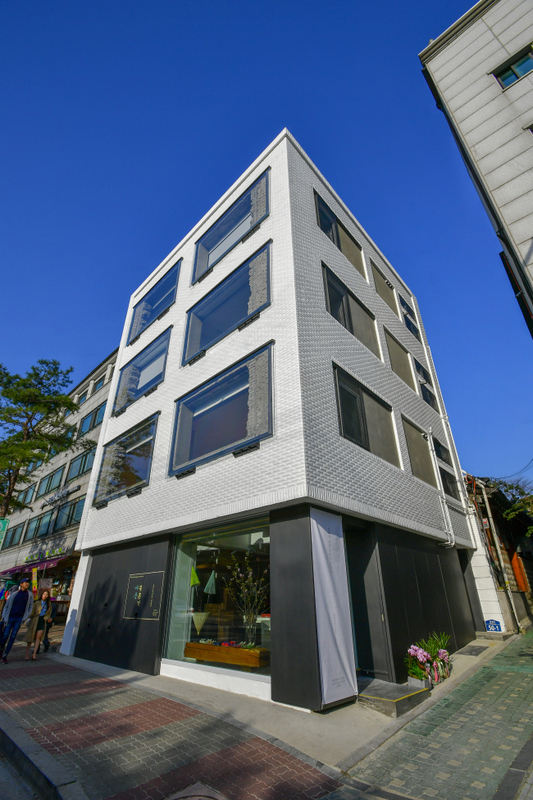 Yeol’s mix of “old and new” members is reflected in its new headquarters building. The building, built in 1965, was remodeled to keep most of its old exterior and interior features. The project is an attempt to show the possibilities of mixing the old and the new, according to Kim. The organization wanted to introduce a notable architecture to the neighborhood of hanok. “I think this building can bring about changes in 20-30 years. My hope is that this is a way to show the beauty of contemporary buildings,” Kim said. Yeol also hopes to contribute to the neighborhood in different ways. “We thought about what our role in Bukchon was,” she said. Exchanges with the numerous handicraft studios in the neighborhood is a possibility. Yeol’s lecture rooms, library and exhibition space will be a venue for exchange of ideas. “The government can’t do everything. There is definitely a role that civic groups can play,” she said. Married to Chung Mong-joon, a well-known businessman and politician who was a presidential contender in 2002, Kim is better known in the public eyes as Chung’s wife. How does she identify herself now? She has begun on a path to discovering who she is and she seems to have found it in photography. 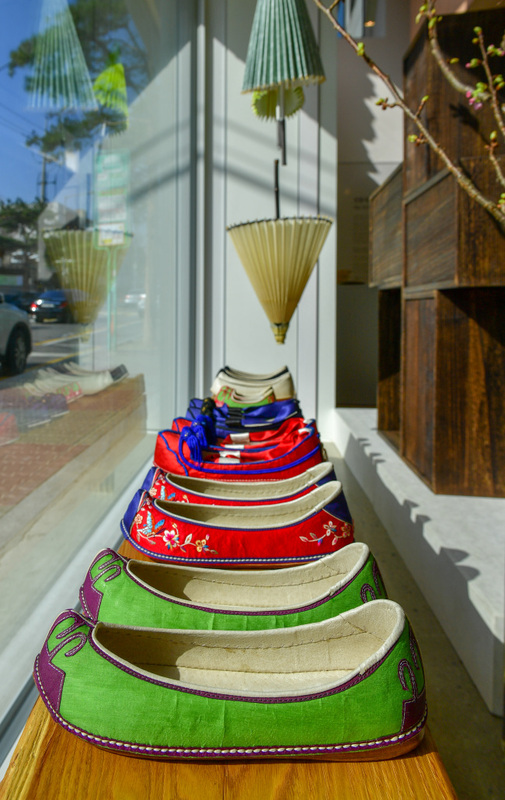 She held a solo photo exhibition “Sokchima,” featuring her actual petticoat as the central theme, at Gallery Kong in Samcheong-dong at the end of last year. “It became a show to mark my 60th birthday. I had, in my 50s, thought about holding a show someday but kept putting it off,” said Kim, adding that it may never have materialized had her husband not pushed her.